The fourth album release from local jazz-lounge group Jazz Jaguars kicks off with the tune “Waiting for You,” a brooding track centered on vocalist David Payne’s intimate and reflective vocals. Guitarist Christy Matthews provides an unassuming, quixotic melody beneath Payne’s casual lyrics, dialing into an angular, somewhat nebulous guitar tone that heeds no pre-planned infrastructure. On the contrary, Matthews’ guitar melody sinks and rises throughout the track with the airy anti-agenda of an offhand nocturnal night out at the local bar which, consequentially, is precisely the type of music that Jazz Jaguars aim to create. 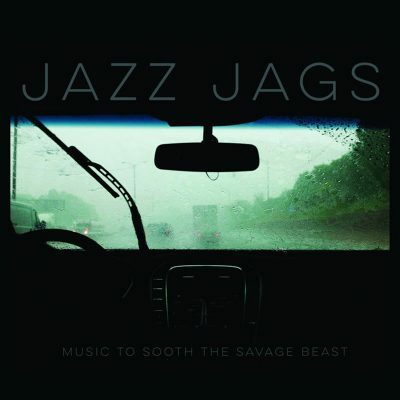 Jazz Jaguars have consistently aspired to play sensitive, beautiful music by fusing elements of traditional jazz with doom lounge (yes, it’s an actual genre). Music to Soothe Savage Beast handily incorporates all of the above, easily situating itself as the ideal soundtrack amidst the low-key conversations of bar patrons on a casual weeknight. Unsurprisingly, the album was recorded live with one stereo mic, primarily during Twilite Lounge’s weekly Lounge Nite, using self-made, super lightweight and sound-efficient systems aptly dubbed by the band as “space invaders.” Ergo, Music to Soothe the Savage Beast harbors a melancholy, DIY jazz-punk ethos almost similar to the ‘90s post-rock band Karate’s final album, In the Fishtank 12 albeit one that is much, much more meditative and restrained. The album continues along the ethereal and intimate trajectory set forth by the initial track, with a couple of guest appearances from local musicians such as Lord British, Nick Niehart and Mananero (to name a few). The 10th track on the album is a delicate cover of the Byrds’ “Turn! Turn! Turn!” in which Payne’s voice breaks from its former, subtle timbre to become slightly more acrobatic and shrewd, edged on by Halee Jean’s nimbly supportive drumming style. It’s a light-footed take on the original, almost unrecognizable if not for Payne’s jaunty emphasis on the song’s distinct chorus.